The Moran Arts Foundation has today announced the semi-finalists for the 2018 Doug Moran National Portrait Prize (DMNPP), with portraits of well-known Australians such as Troye Sivan, Asher Keddie, Carla Zampatti, Simon Tedeschi and Kate McClymont amongst the 128 semi-finalists. Other high profile sitters include Reg Mombassa, Noeline Brown, Edmund Capon AM OBE and Jane Caro, who appears twice in the semi-finalist selection. The DMNPP is celebrating its 30th Anniversary and remains Australia’s richest art prize with prize money of $180,000 including a $150,000 first prize. Leading Australian artists such as Wendy Sharpe, Peter Smeeth, Vincent Fantauzzo, Lewis Miller and Rodney Pople are included in the list of semi-finalists, alongside recent DMNPP winners Megan Seres and Warren Crossett. The finalists of the DMNPP will be announced on Wednesday 17 October and the winners will be revealed on Thursday 1 November. 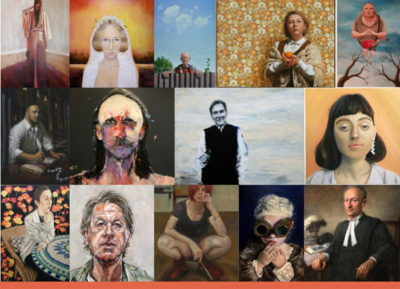 The semi-finalists can be viewed here: http://www.moranprizes.com.au/competition/2018-doug-moran-national-portrait-prize/semi-finalists and high-res images are available on request.